Girls Inc. is making its workshops more accessible for girls across the city. A volunteer prepares the food at the Girls University kickoff event at Marquette Park. Some girls may just want to have fun, but others want an educational experience as well. Now any girl in the city can access self-sufficiency and confidence-boosting programs through Girls University, a new project from Girls Inc. 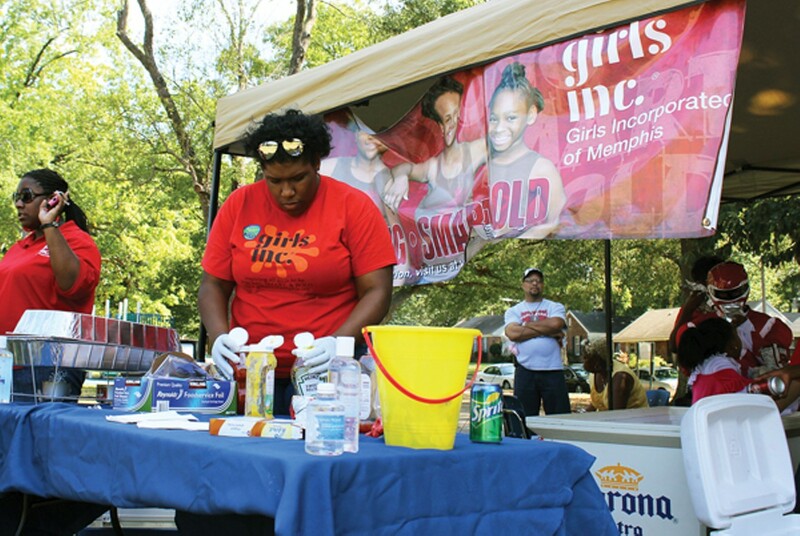 Girls University helps Girls Inc.'s programming reach girls who, because of lack of transportation or other issues, couldn't attend structured programs at their official five centers in East Memphis, downtown, Frayser, South Memphis, and Hickory Hill. Through Girls University, classes will be held at satellite locations across the city, such as the Benjamin L. Hooks Central Library and cooking school L'École Culinaire. The program, which lasts from October to March, is centered on six areas: careers and life planning, self-reliance and life skills, leadership and community action, sports and adventure, culture and heritage, and health and sexuality. Girls are divided into groups based on age: 6- to 8-year olds are freshman; 9- to 11-year-olds are sophomores; 12- to 14-year-olds are juniors; and 15- to 18-year-olds are seniors. Each group will have a monthly event, with some presentations occurring during school breaks. The first will take place during the upcoming fall break, which falls October 7th through 11th. In order to enroll their children into the Girls University program, parents must first become a member of Girls Inc. through a $30 annual fee — on top of which, each of the events cost between $10 and $30, depending on subject and length. 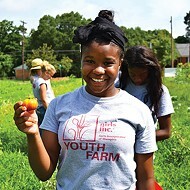 Lisa Moore, president and CEO of Girls Inc. of Memphis, said just by being female, women and young girls have unique circumstances, no matter the socioeconomic status. "No matter where you're from, in every ZIP code, [girls] have to plan for their career. They have issues with body image and self-esteem," Moore said. "We hear these communities say, 'We want a chance to meet girls we wouldn't otherwise meet.'" Moore said the organization works with girls to become self-confident, particularly in leadership roles, on top of learning economic and personal skills. According to "KIDS COUNT: The State of the Child in Tennessee 2012," a yearly report which tracks data for children for every county, almost 4 percent of girls ages 15 to 17 were pregnant in 2010. The data also named Shelby County as number one in the number of high school dropouts in school year 2009-10, as well as leading in school suspensions and expulsions during 2010-11. At a kickoff event for Girls University at Marquette Park last weekend, Desiree Jones, a mother involved in the organization, said her daughter wasn't learning in her after-school program at school, so she turned to Girls Inc. when her daughter was 9. She said the curriculum was structured and targeted toward her age group. "Girls Inc. encourages girls to be involved and exposes them to volunteering," she said. "It's an empowerment program to help all girls be the best they can be."